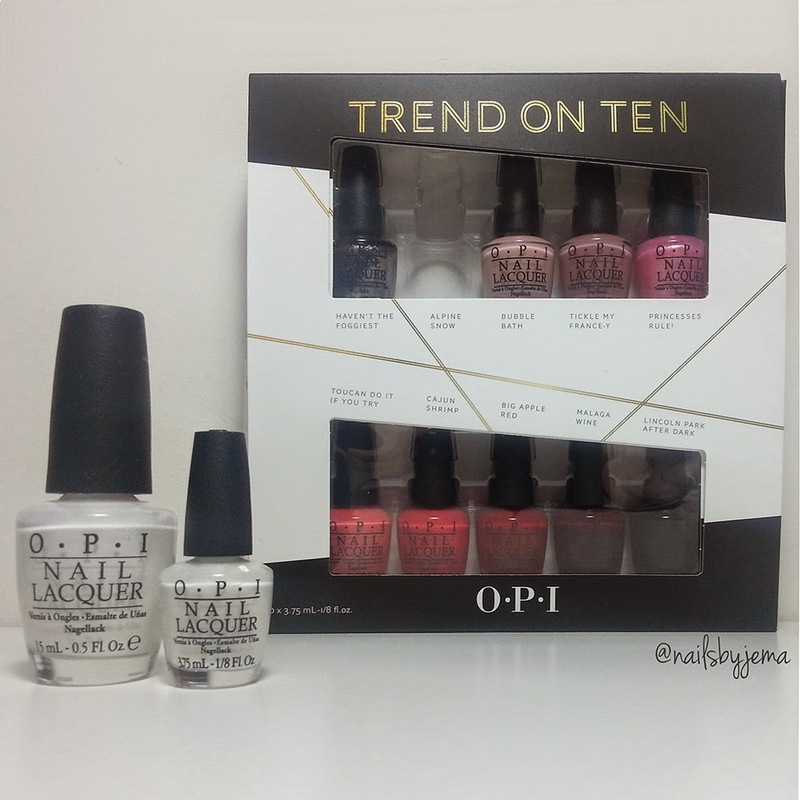 Sometimes the best things come in cute little packages, and nail polish is no exception. 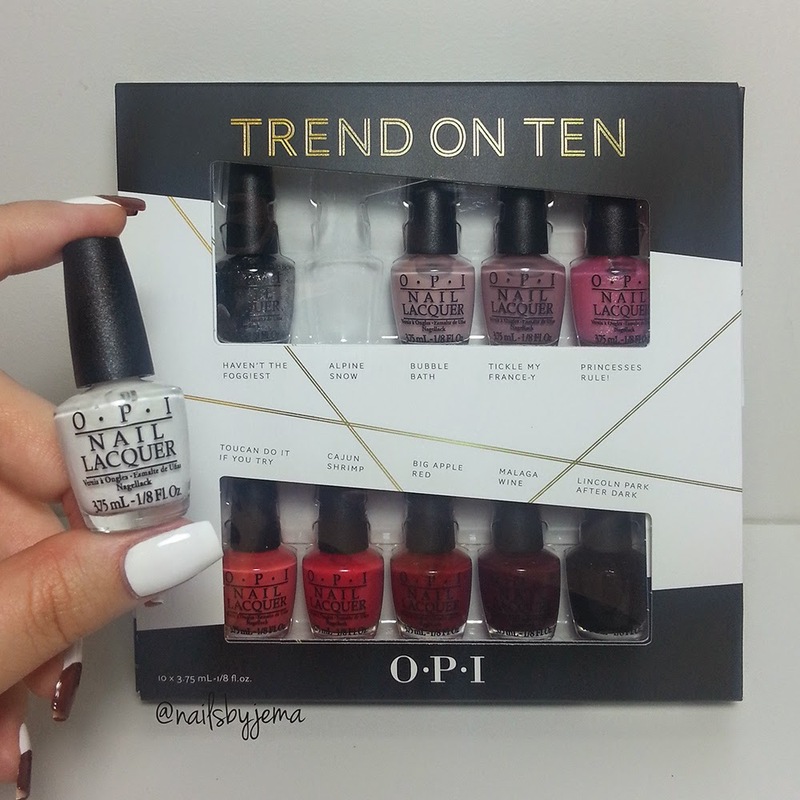 I recently received the new Gift Set from OPI for the 2014 Holidays 'Trend On Ten' and when I pulled out the little tiny bottles, I literally squealed from the cuteness of them. 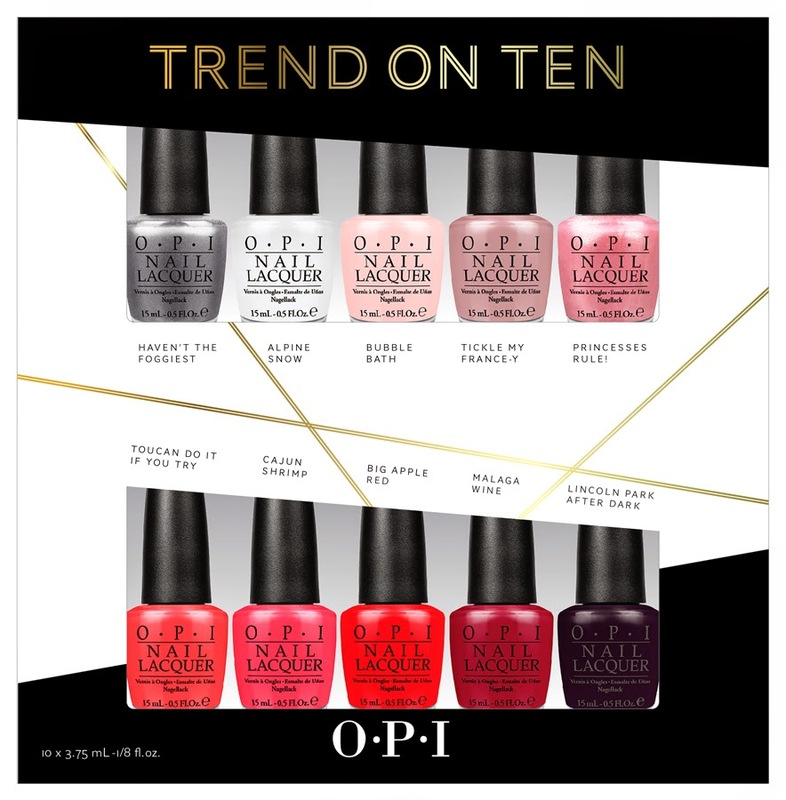 The Trend on Ten set features ten bestselling and popular mini nail lacquers ranging from a sheer white to a deep purple and is guaranteed to have a shade to suit every mood and occasion. My first thought when I saw the size of the bottles is how perfect they would be to go into your handbag to touch up chips through the day. I also am taking this pack with me when I travel to Sydney for Christmas. It's the perfect size for traveling! Trend on Ten includes the following lacquers in mini size: Haven’t the Foggiest, Alpine Snow, Bubble Bath, Tickle My France-y, Princesses Rule!, Toucan Do It If You Try, Cajun Shrimp, Big Apple Red, Malaga Wine & Lincoln Park After Dark. 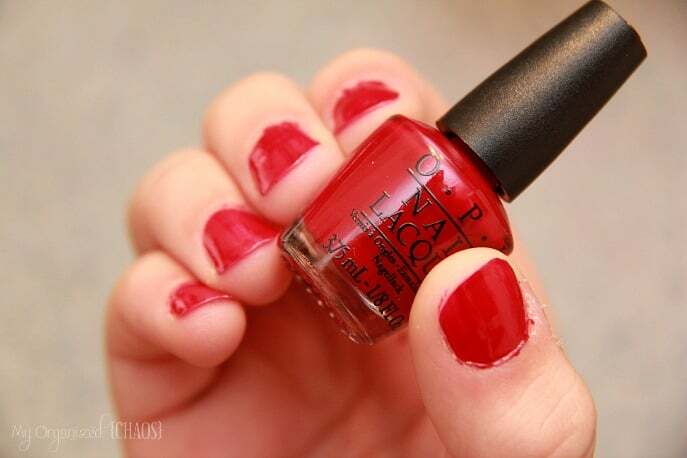 Trend on Ten each feature OPI’s wide brush for easy application and, I must admit, I have never bought a mini set based on the fact that I thought the brush would be too small and that's the main reason OPI are my favourite polish. But after seeing how great the brush size is, I see more mini set purchases in my future.